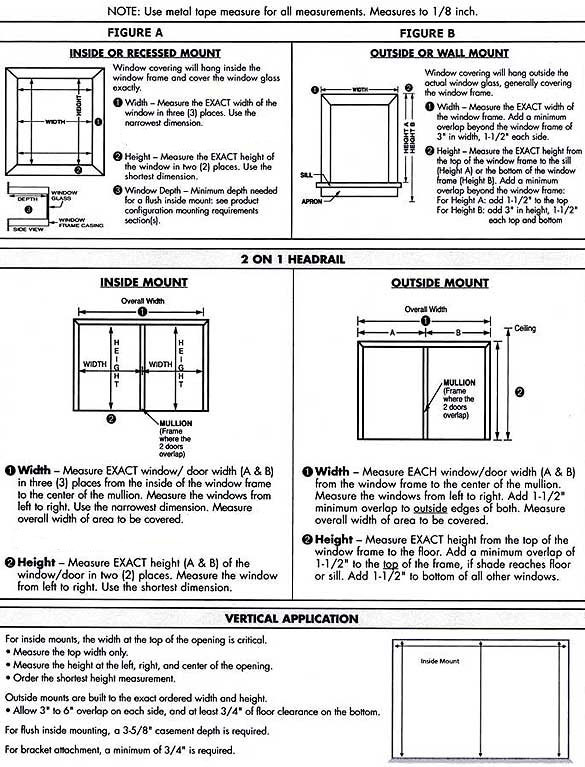 Measuring Wood Blinds - BlindsOnLine.com Inc.
2) Determine whether your wood blinds will be mounted inside or outside the window frame. Inside Mount Valance- A decorative valance will be supplied with all wood blinds. Valance will be cut 1/8” less than ordered width. For blinds not meeting the full recess requirement bracket and valance ends will be visible.